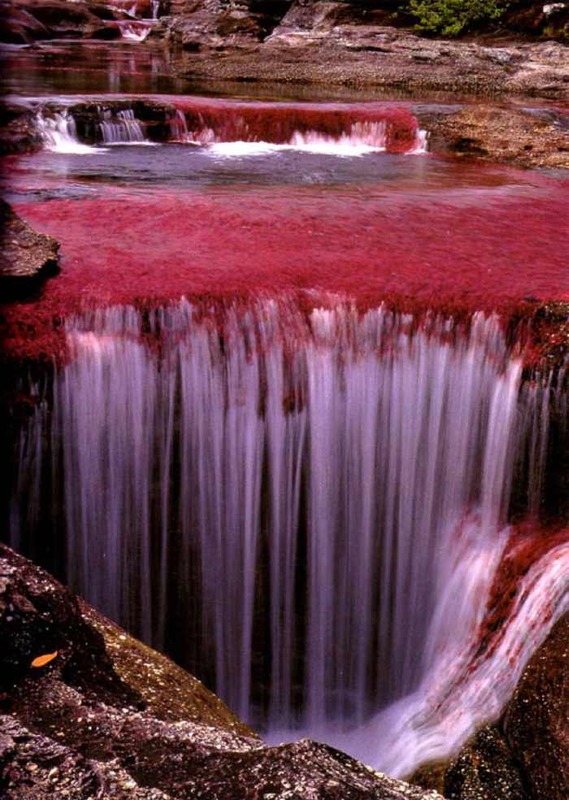 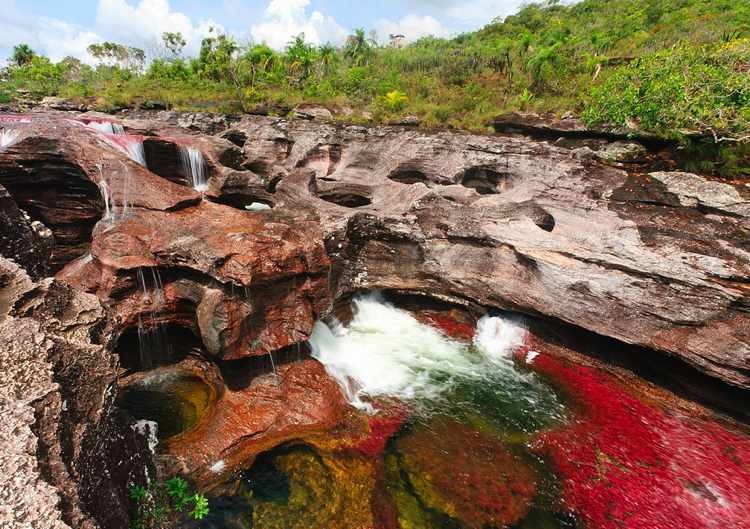 Known by many as “the river that ran away from paradise” and the most beautiful river in the world, Colombia’s Caño Cristales or The River of Five Colors is a veritable biological wonder. 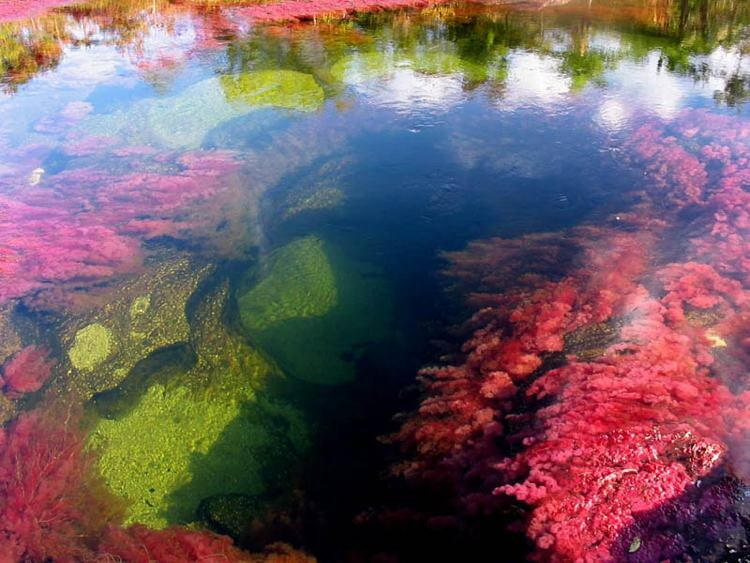 For most of the year, the river remains nondescript: clear currents, greyish rocks, cool waters. 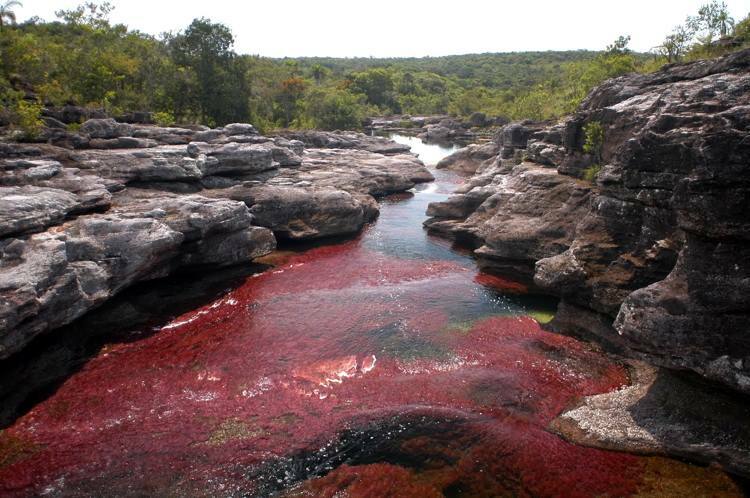 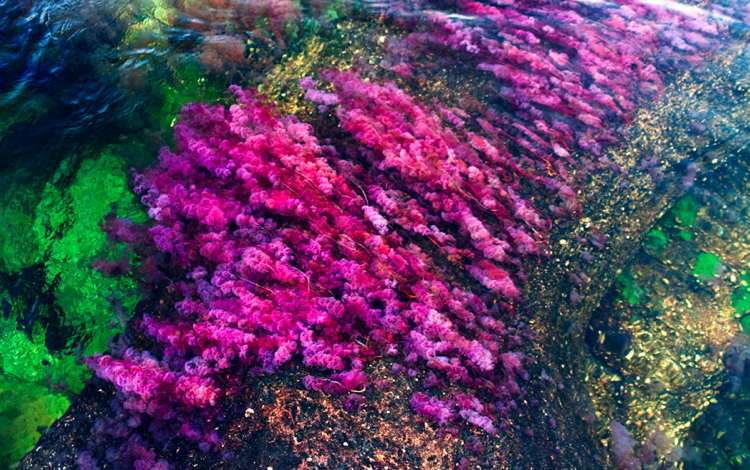 However for a brief period of time the Macarenia clavigera, a plant that lines the river floor, turns a brilliant shade of red that is only complemented by radiant shades of yellow and green sand, blue water, and many other hues in the color spectrum.